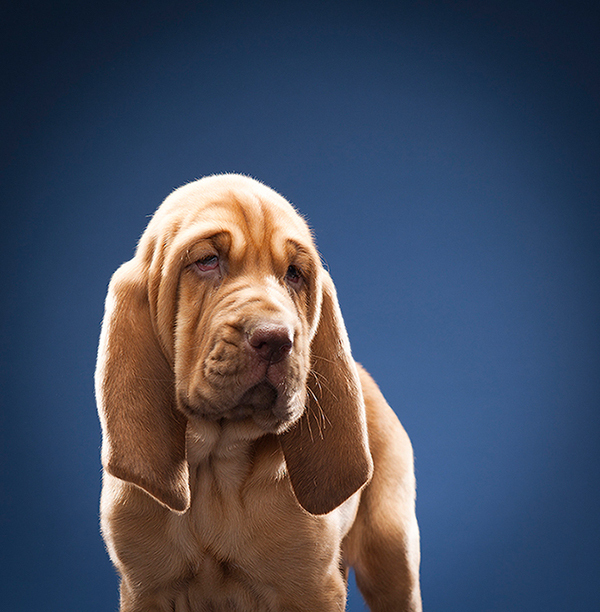 Did you know that bloodhounds can remember a scent for up to three years? 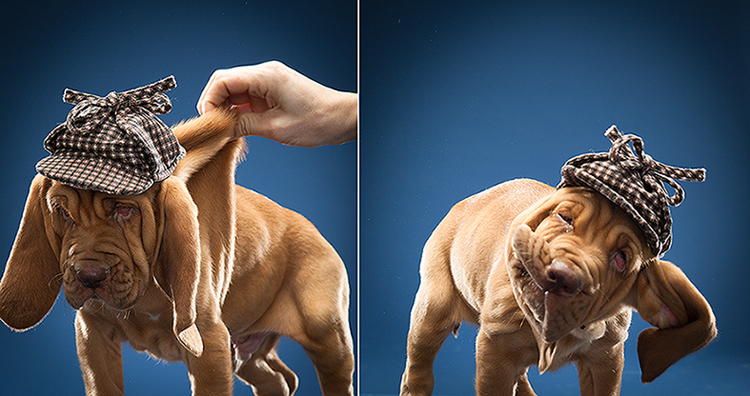 It’s amazing what one can learn while on a photo shoot. Just finished an assignment for Investigation Discovery, one of the many popular shows on the Discovery Channel. 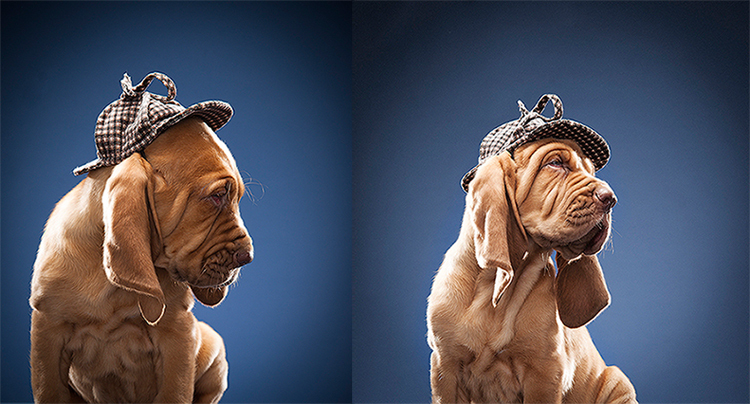 We photographed one adult bloodhound and two eight week old puppies wearing a Sherlock Holmes hat (hence Investigation Discovery). Now I have to say, I am not one to dress up a dog. When my two dogs were alive I refuse to dress them up for Halloween (or for cold weather – that’s why God gave them fur). Call me crazy, but I don’t think animals look good all decked out in human clothes. And I don’t think they like it either. But I have to say this was really quite cute. The original layout for the ad called for the dogs to wear a hat, a coat and have a pipe in their mouth. I could envision the hat and coat, but the pipe I was having a hard time getting my head around. It would have been fun to try though. I’m looking forward to seeing the final ad. When it’s finished I’ll post it here. GREAT pics! As usual! Sorry I missed you in NYC, the weather delayed me for over 24 hours so I missed everyone at the reception. I was hoping to introduce you to Tim Thornton and Ed Ladd. I’ll send you an email later but really enjoyed these pictures and thought I would send you a quick message. Thanks Gretchen. When the two puppies came through the door you could feel all the air leave the room as everyone gasps. Really couldn’t miss, they were just too cute. 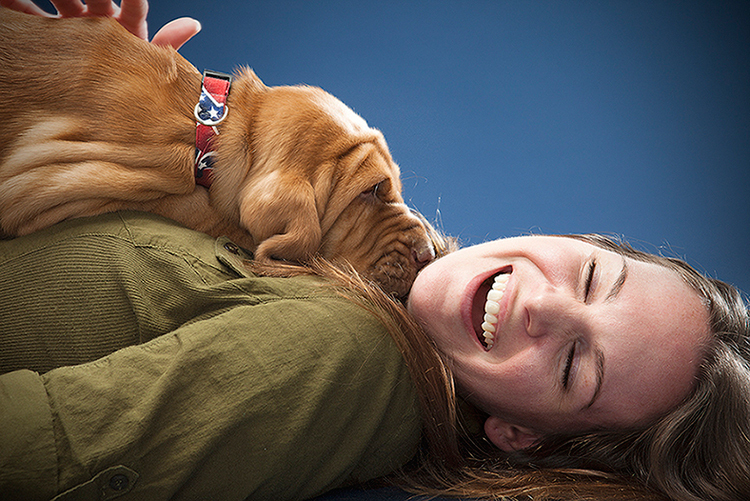 Call me crazy, but I’m thinking the AB Sheri is cuter than any of the hounds! But that’s just me.